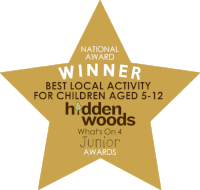 All sessions are facilitated by experienced Hidden Woods leaders and will go ahead in all weathers – if necessary we have large group shelters with fire pits and plenty of great activities that we can do underneath them. These sessions aim to provide time and space for parents and children to step back from their busy lives, to reflect and interact with the world at nature’s pace – slow and steady. 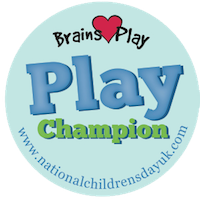 Whilst we will have various activities set up, the sessions are very much child-led, and often go in different directions! Whether the children are up for some quiet fireside crafts or burning off some energy climbing and digging, they’ll have a great time. These events also bring together a fun, friendly and caring group of parents, who seem to enjoy the activities and fireside social as much as the children! These events are for families with younger children, from toddlers to ten (and a bit older even!). Activities are pitched accordingly and there’s always plenty to keep everyone engaged. Babies welcome in slings/carriers and ‘off road’ pushchairs. After completing your booking you’ll receive a confirmation email with a link to an info sheet for the group, as well as a map and directions. Please follow the link and check out them out ahead of your visit! Wow is a good word. Barney and Julie were amazing. Complete with their sense of fun and the idea of the environment, letting the whole situation flow in an organised manner. The children had an amazing time. The parents had a hot cup of tea/coffee made for them half way. A perfect balance and not judgey. Just fun and foresty. There was a great freedom of where you joined in or just got on with exploring. There was a structured table of making something the babies and parents both enjoyed (mostly parents!). The wood was safe and the mud kitchen and tree swing a good favourite outside of sitting down and singing regular and new songs and roasting a marshmallow for the slightly older young boys and girls. We had fun. Thank you. See you again very soon.